This house, ideally situated across the street from Cooper Park, is part of a row of single family homes built in the 1950s. With front and rear yards and an alley for parking these homes have become desirable, however the existing footprint and layout are outdated and too small to accommodate the young family moving in. General Assembly was hired in January of 2011 and by Memorial Day weekend the clients had a completely re-modeled home to move into. Even with this incredible time crunch, GA was able to build a more efficient floor plan and incorporate several custom designed pieces. Features include a master bathroom with a floating teak vanity; custom kitchen cabinetry with concrete counter tops; a kitchen island with built in wine storage; and additional custom storage throughout – including flip-top kitchen benches. 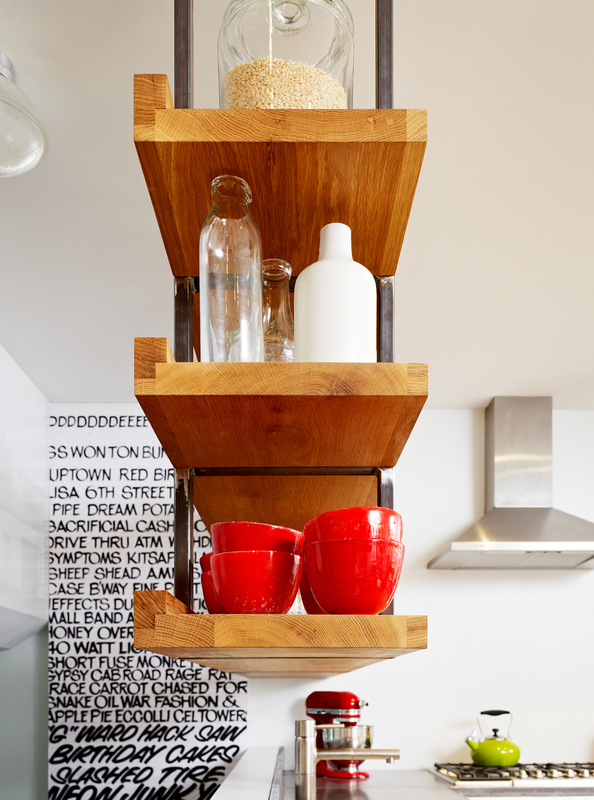 Then there’s the solid oiled white oak suspended shelving we custom designed for the kitchen. The shelves are supported by steel bracing and anchored into a steel plate in the ceiling. 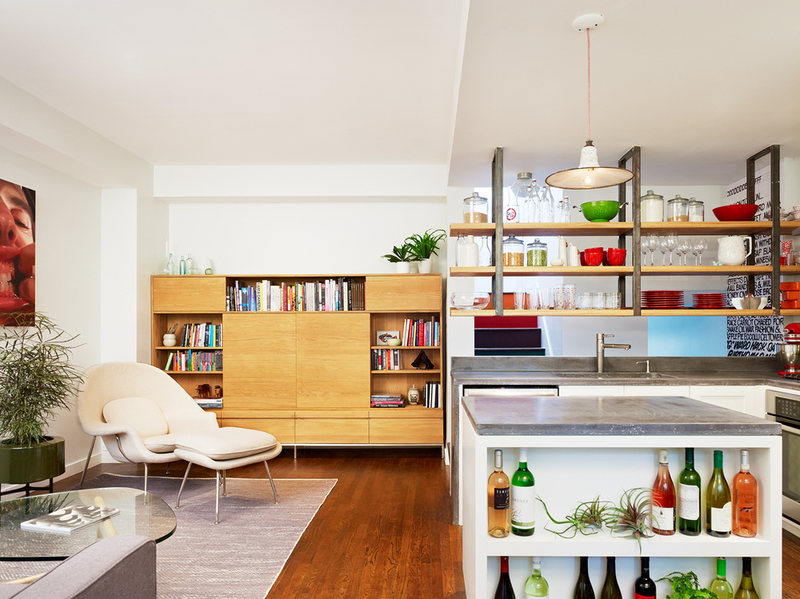 By opening up the shelving above the sink, GA was able to capture the light from a nearby skylight and the surrounding windows to create an open, sun-filled environment for serious cooking.